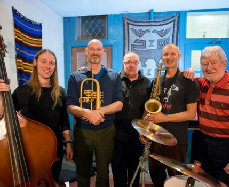 Although the quintet BLOW does not have a guitarist, it is my view that their philosophy, programming and approach to the art form of jazz epitomize the very best of Australian Jazz. 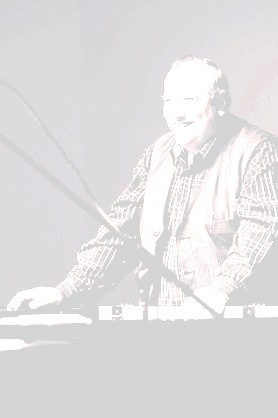 Bob Sedergreen's high regard and position in Australian music is unquestionable. His impact and influence in performance, composition and education for over half a century has secured his place as a national treasure. Bob was won the respect and admiration of recognised talents both in Australia and internationally. People like Jimmy Witherspoon, Nat Adderley and Phil Woods, to name but a few. Australian artists include: Brian Brown OA, Allan Browne OA, Don Burrows OA, Ted Vining and Judy Jacques. Bob has also appeared in concert with all-time greats like Dizzy Gillespie and Milt Jackson. Bob has toured extensively both here and overseas including Jazz Festivals in Montreal, Malaysia and Scandinavia. He was Artistic Director of the Montsalvat International Jazz Festival 1993-4 and involved in negotiating performances by American working ensembles including the Nat Adderley Quintet and The McCoy Tyner Trio. <?xml:namespace prefix = "o" ns = "urn:schemas-microsoft-com:office:office" />In 1990 Bob won the Inaugural Jazz Award for Australia's Best Keyboardist. 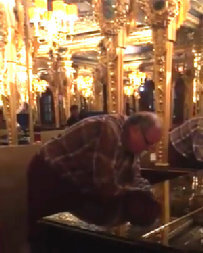 He has been described by colleague Dr Tony Gould as the world's best Blues pianist. Read the full review here. Listen to demos here. “When I think of my 'music teachers' I also think of 'music educators' which include music performers, improvisers, composers, academics plus others in the music (and creative/cultural) industries. I think of these people as those who taught by sharing with me powerful norms, values, and capitals. These translate into other forms of capital that link my childhood to my present and ongoing music education. The list of people is too long to include all names but here are some that come to mind: Joanna MacGregor, Nina Simone, Miles Davis, Johann Sebastian Bach, Stevie Wonder, Judy Hall, Ronald Farren-Price, Alfonso Montecino, Claudia Arrau, Jacque Brel, Bob Sedergreen, Graeme Bartle, Nora Morrisroe, Joni Mitchell, Ros McMillan, Lucy Green...plus a multiplicity of others who made a massive difference and KEEP making a difference either in a direction that reinforces or transforms me and my career, at the level of expectations and aspirations. 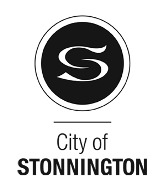 Do you go to school or live in Stonnington? Or do you just want to play jazz in a small ensemble? The Australian Jazz Bell Awards recognise and encourage excellence in the performance, creativity, recording and presentation of jazz in Australia. In honour of one of the greats of Australian jazz - Graeme Bell, MBE, AO. In 2018 Bob Sedergreen was inducted into the Graeme Bell Hall of Fame. To all our Jazz Lovers. The Paris Cat is Proud to announce the launch of 2 new festivals in 2019. 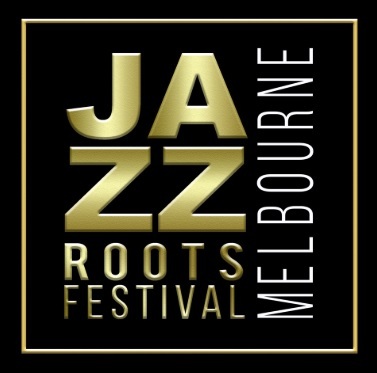 The first is the Jazz Roots Festival on the Sunday 28th April 2019 to coincide with International Jazz Day Celebrations and the second is the Soul Roots Festival in November 2019…date TBC.